Cleveland, Ohio, might not be one of the top spots on your Bucket List, but it's worth a closer look. My sister-in-law and her husband live in the Midwestern city perched on the shores of Lake Erie, which means Jon and I get the chance to visit at least once every two years for the holidays. We manage to discover something new each trip. What we've learned so far: The town has culture, some very cool museums, and some nifty attractions. If you find yourself in Cleveland, here are my recommendations on the top ways to spend your time. This attraction, designed by renowned architect I.M. Pei, opened in 1995, and is the world's first museum dedicated solely to rock and roll. Its mission is to educate all who visit its hallowed halls about the history and significance of rock and roll. For some of us, myself included, rock and roll is pretty significant. Movies, artefacts, interactive kiosks, and non-stop music, music, music are what you can expect inside this monument to rock and roll bliss. In addition to its permanent collection, the museum regularly rotates special exhibits such as one in honour of the 50-year anniversary of the Rolling Stones. 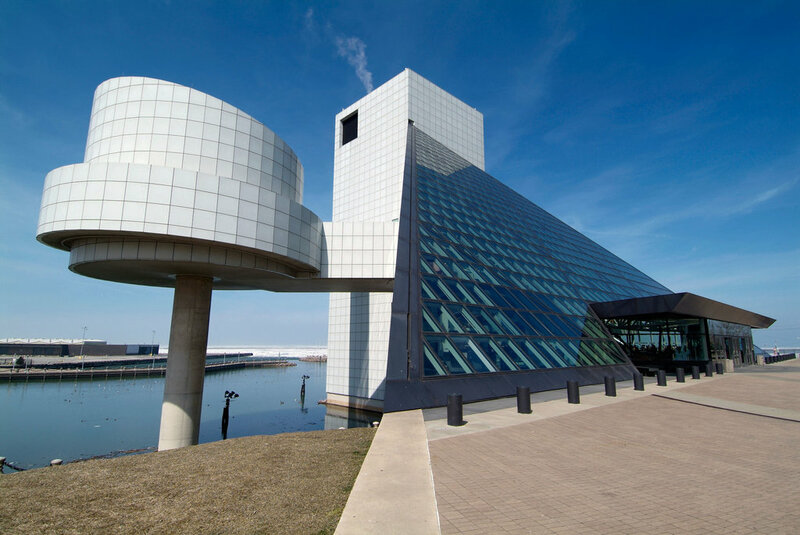 Still, the place probably is best-known for inducting performers each year into the Rock and Roll Hall of Fame. There are many reasons to get yourself to the Cleveland Museum of Art. One reason is the newly remodelled atrium, around which the museum's other buildings are situated. The second reason is that it's free! If that's not enough, there are permanent art exhibits of Indian and Southeast Asian art, art from Japan and Korea, and Contemporary art (including work from Andy Warhol). My favourite section, however, was Medieval Art. With swords and chainmail aplenty, I felt like I was on the set of "Game of Thrones." The museum also features special exhibitions with works from artists such as Vincent Van Gogh and Ai Wei Wei. The attraction here is the beautiful Frank Gehry-designed building itself. With lots of curves and lines and interestingly shaped rooms and halls, this is like no other business school you've seen before. No art-oriented visit to Cleveland would be complete without a stop in Ohio City, the city's "Artisan Neighbourhood." This is an ethnically diverse area well-known for its breweries, restaurants, and markets. Grab a locally brewed beer from one of the many pubs, enjoy a meal at one of the many restaurants, and then dance the night away at a club. The Cleveland Airport is less than 15 miles south of the city centre, making it easy to fly into Cleveland and get downtown to explore.